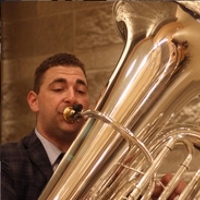 Hi, I'm looking to purchase a CC tuba for under $10,000. I live in Maryland and I'm looking for a Thor, or a PT-6P, or any other 5/4 horn that plays great. If you know of anyone selling a good 5/4 horn please let me know. I'm not currently interested in Miraphones. Feel free to email me at Dweldred92(@)Gmail(. )Com I respond fastest by email. There are plenty of horns in the For Sale section for you to peruse, and you're in a good part of the country for in-person shopping too. Have you been to the Baltimore Brass Company or Dillon Music yet? But really, get over to Baltimore Brass! Thanks everyone, I did go to Baltimore brass but they only had 4/4's and 6/4's at the time so I ended up getting a MW 5450 Thor.